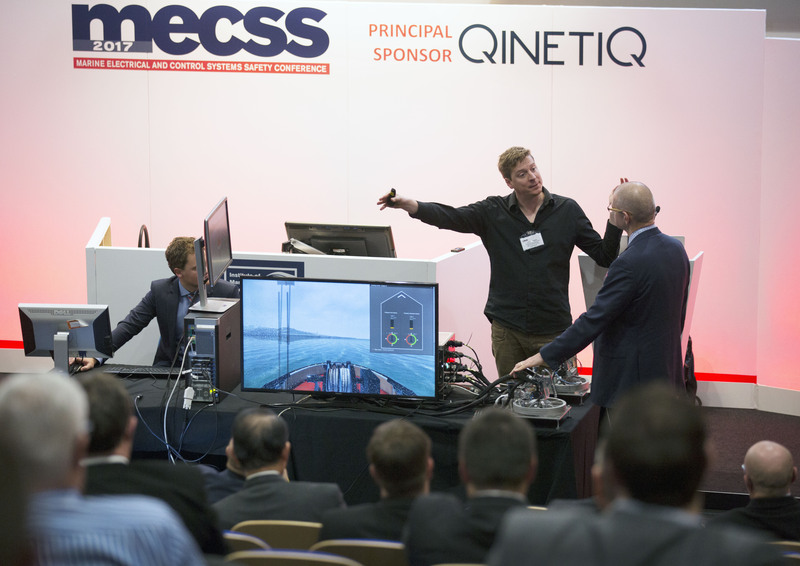 At this years MECSS conference in Glasgow, Arthur Vrijdag and David Abbink present the conference paper they co-authored with Frank Hoeckx, entitled “Development of a test-setup for exploring the potential for haptic feedback for maritime operations”. 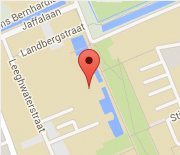 This conference paper was the direct result of the cohesion project on which Frank worked with Arthur and David. Frank developed a generic haptic maritime simulator that allows exploration of haptic support systems for maritime operators, in order to enhance situation awareness, improve control, reduce visual load, and facilitate human-automation interaction. 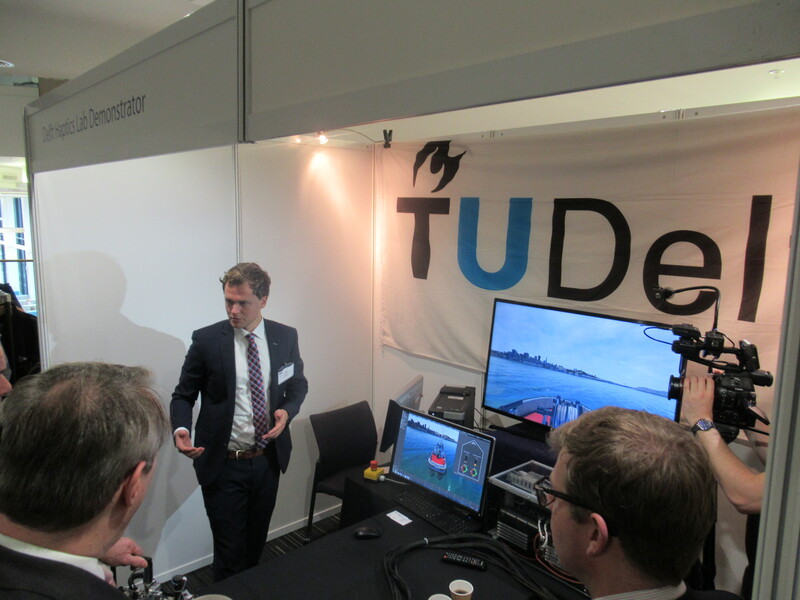 Together with Roy Kok, a dual-master student (BioMechanical Engineering and Offshore Engineering) currently doing his MSc thesis with them, Arthur shipped the haptic simulator to Glasgow, so that all conference attendees could feel the intuitive haptic feedback when controlling a tugboat.